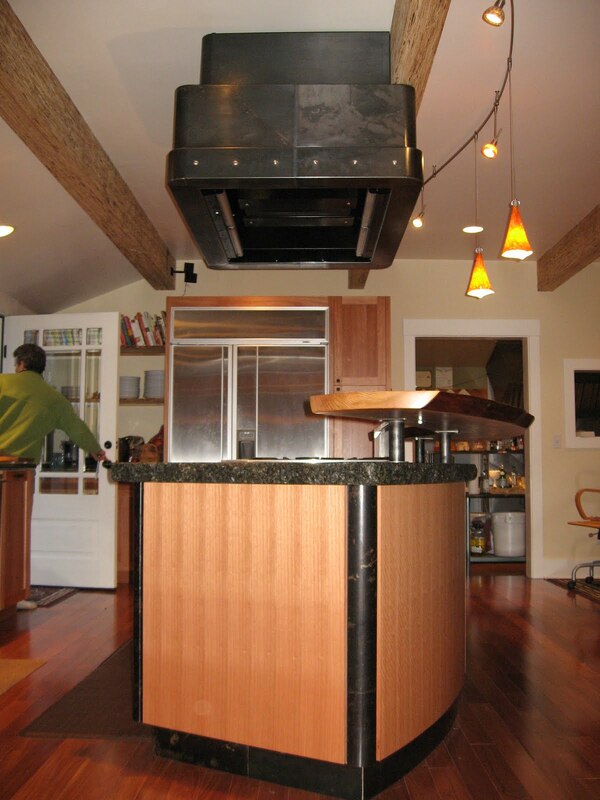 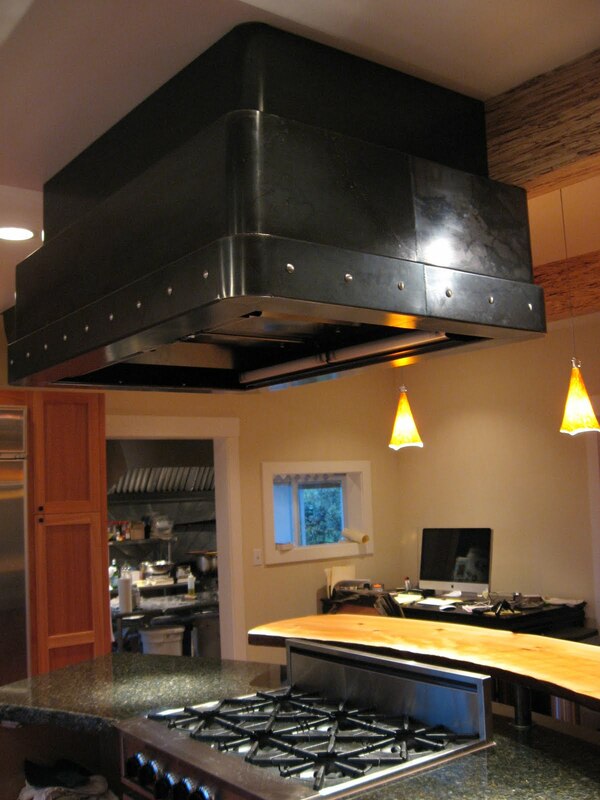 Design, build and Installation of a new 5 foot Island Hood System. 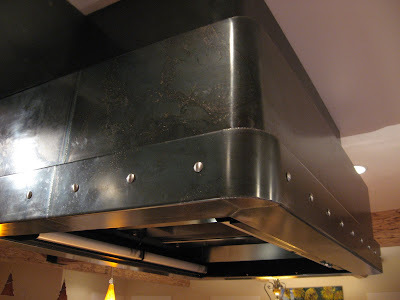 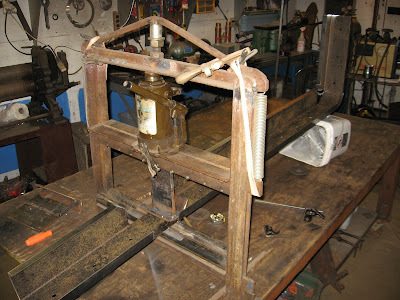 The hood is made from 16 Ga Hot Rolled Steel w/ "Hot Wax" Finish. 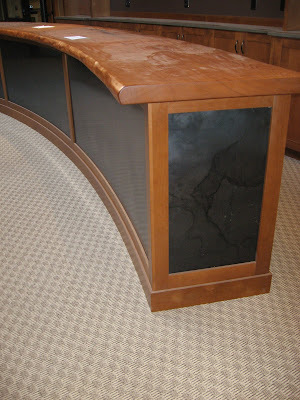 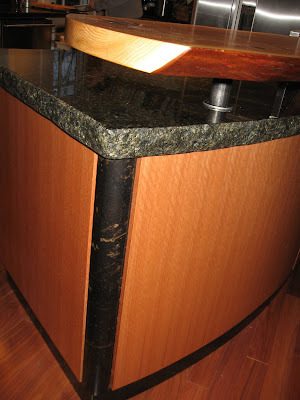 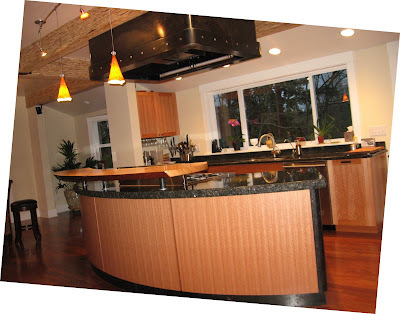 Larry Rohan Furniture designed and constructed all the custom cabinets and Island. 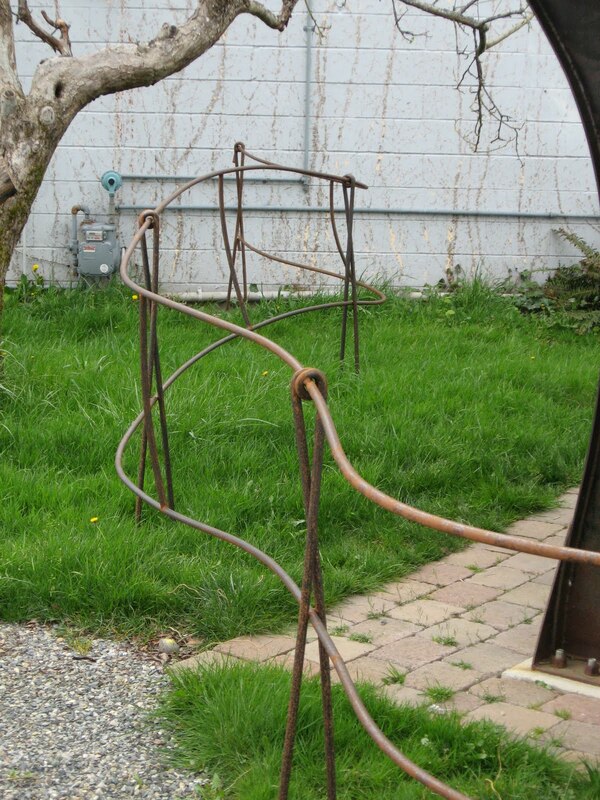 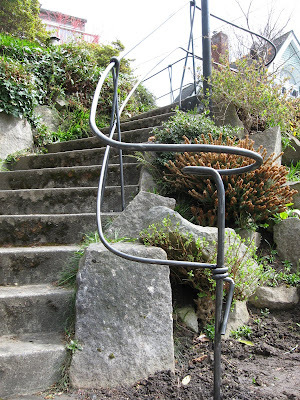 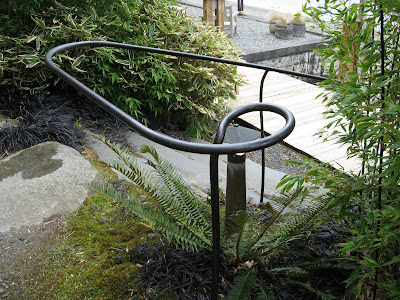 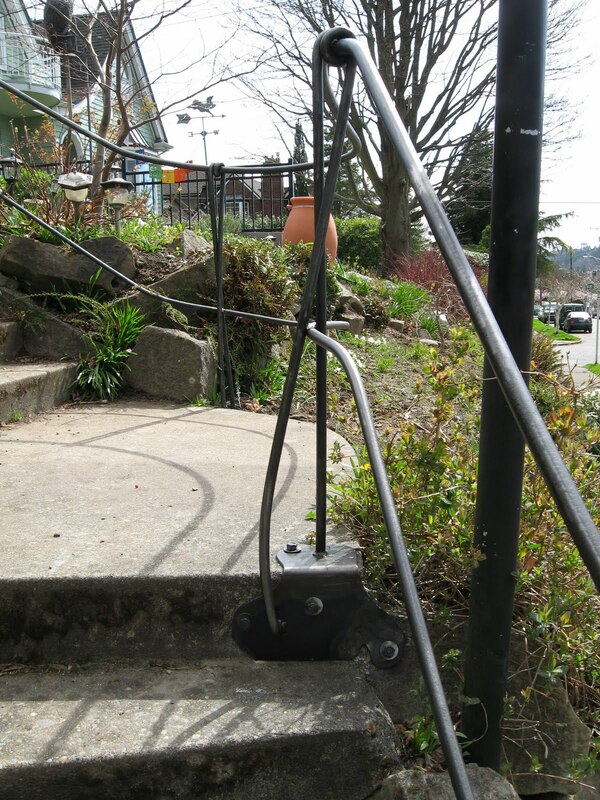 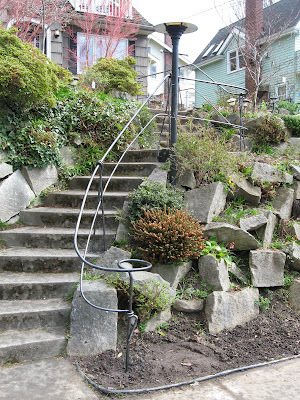 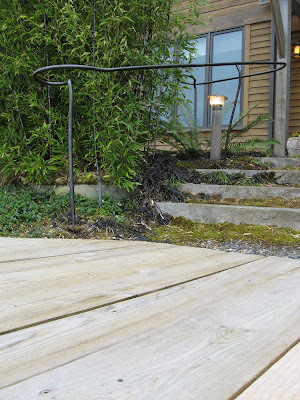 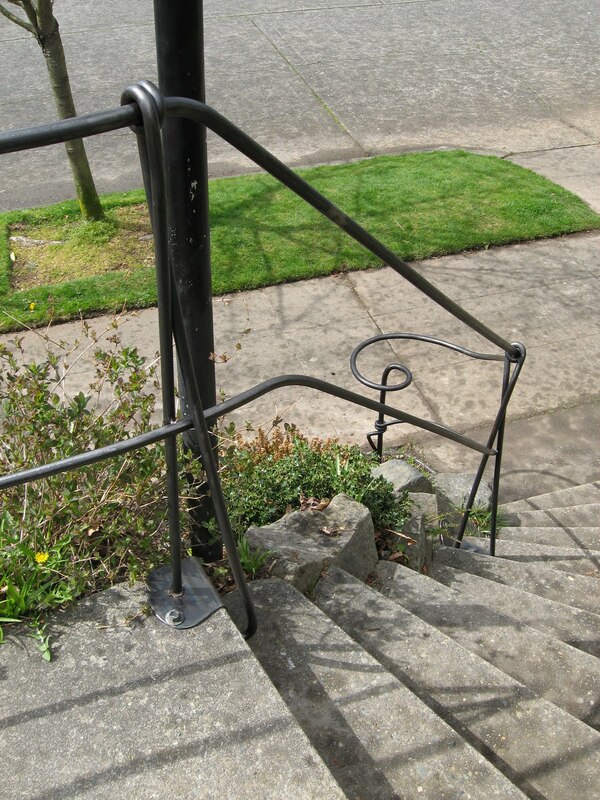 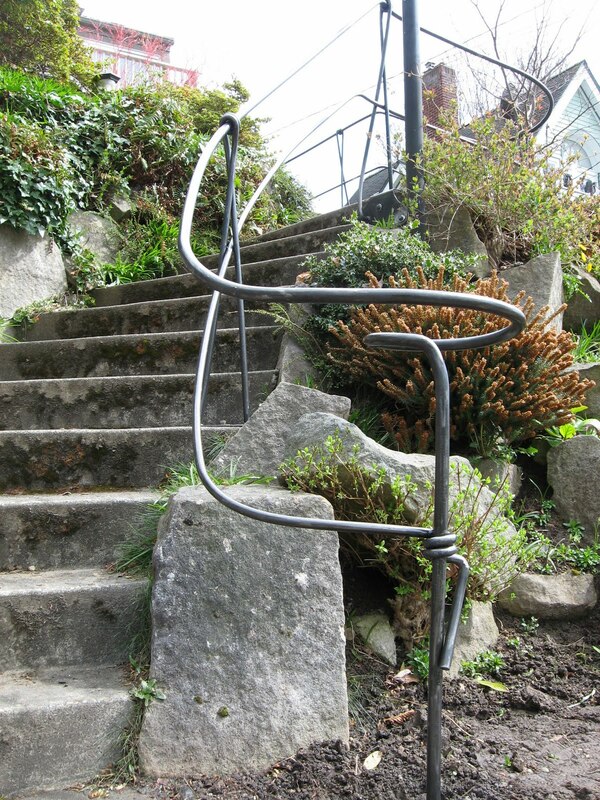 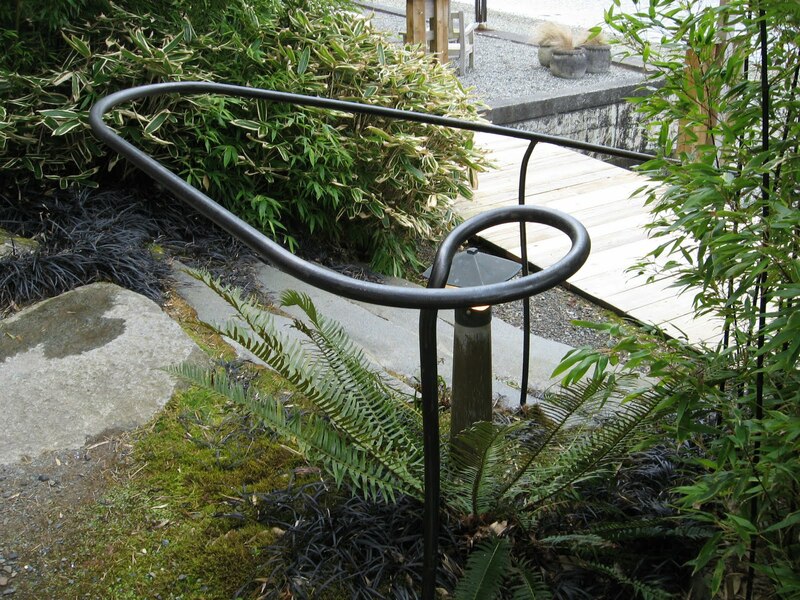 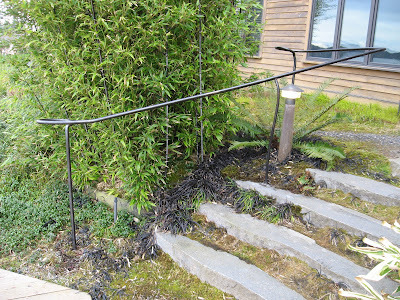 Unique Heavy Handrail made from 1" and 3/4" Hot rolled steel rod. 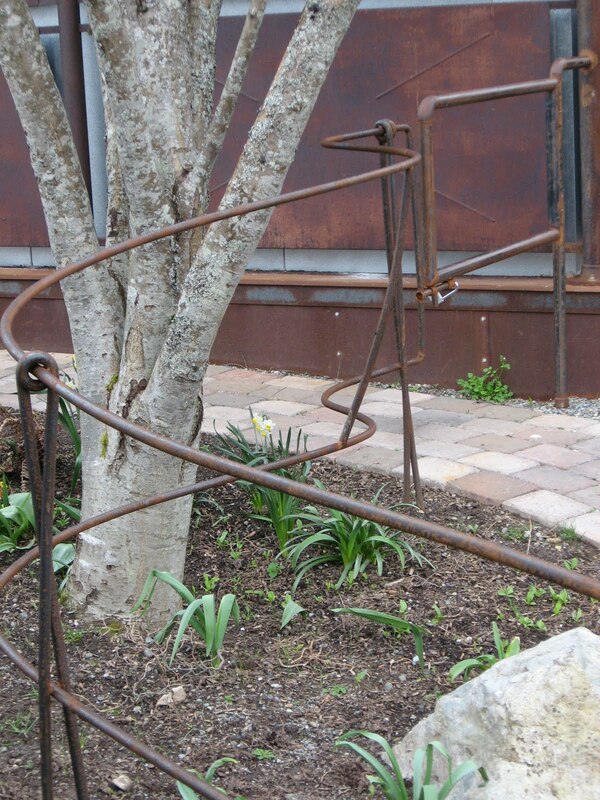 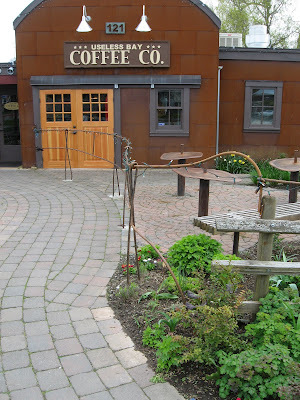 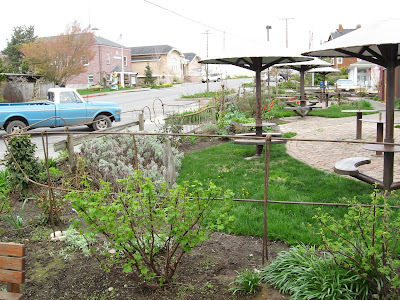 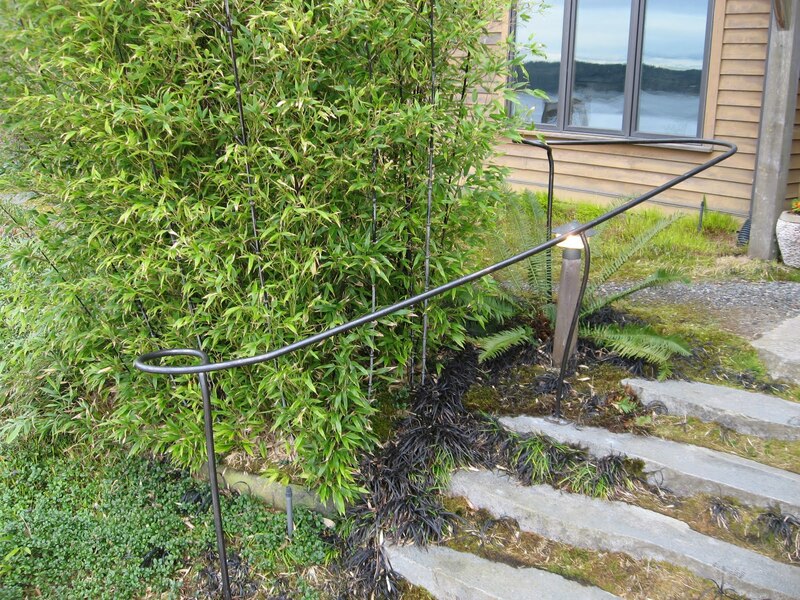 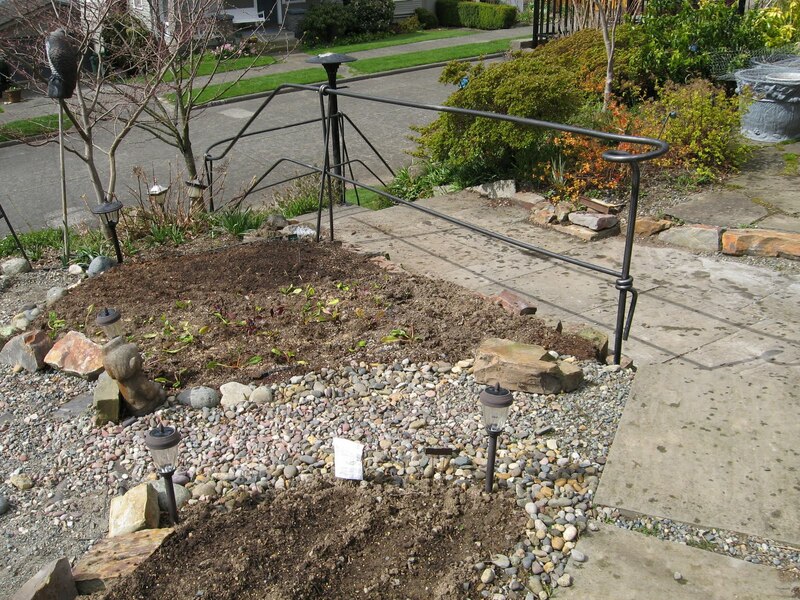 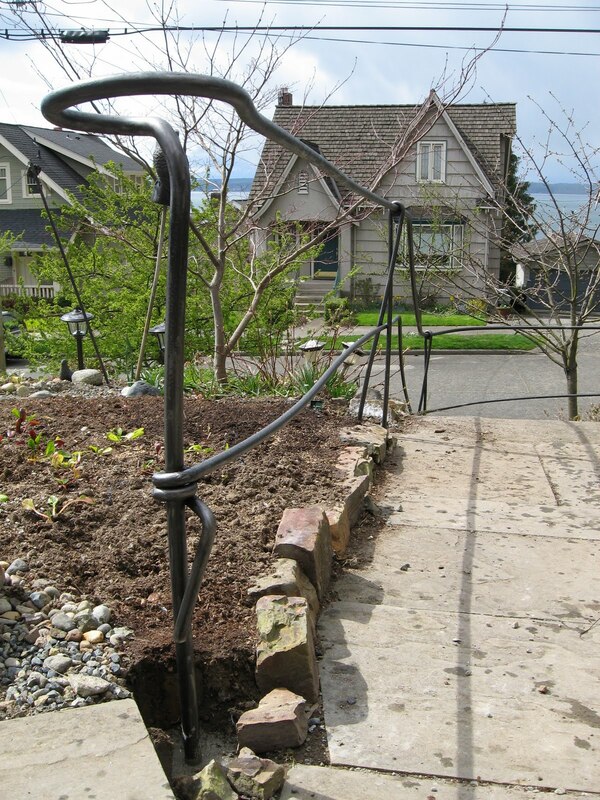 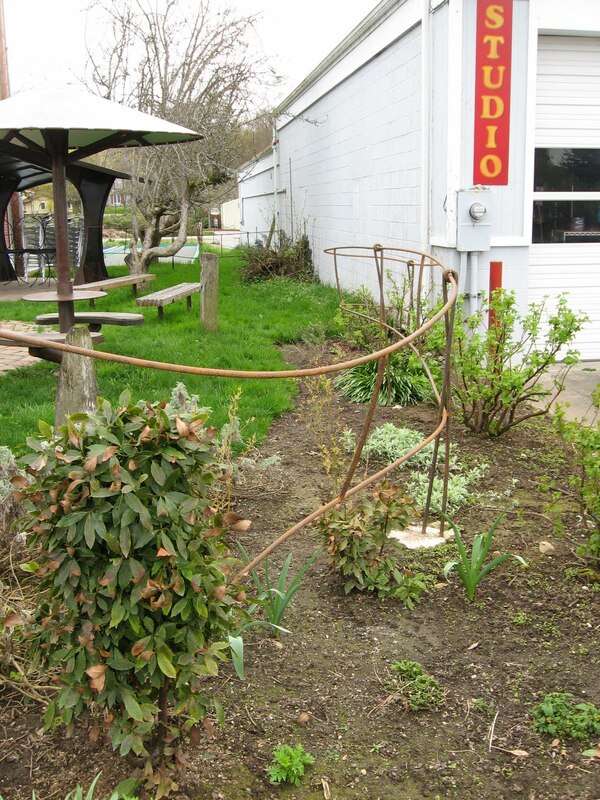 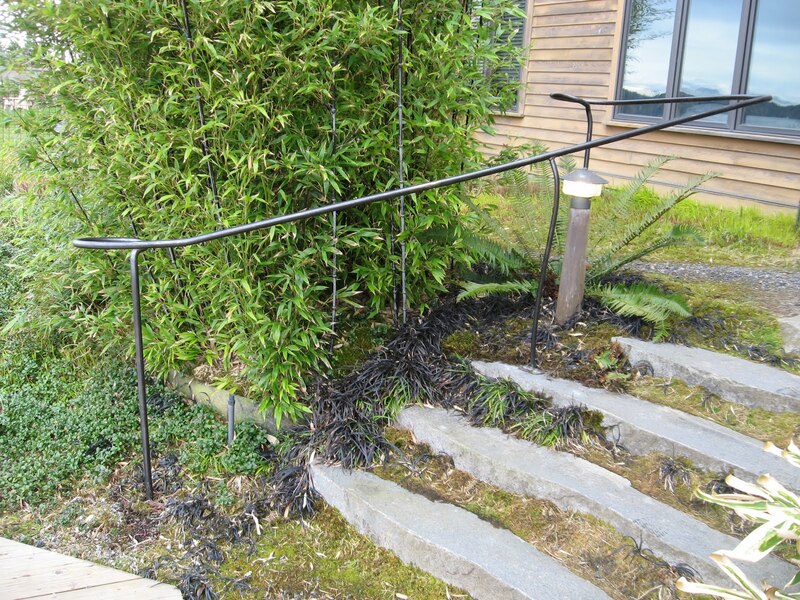 Steel Hand Rail - "The Inn at Langley"
Heavy Hand rail made from 1" dia Hot Rolled steel rod. 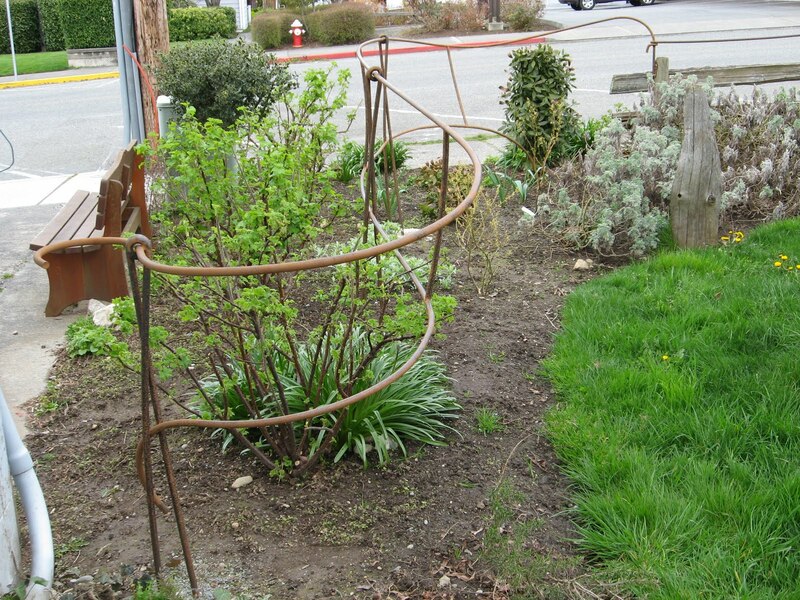 Located down on the waterfront in front of "Spa Essencia"
"Pencil Sketch" Railing made from 3/4" Hot Rolled Steel rod. Body of Logo itself is made from 14 Ga Stainless Steel fully welded and "Angle Hair" finished. 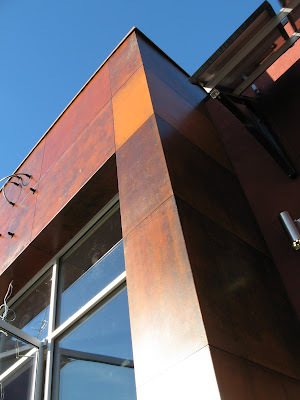 Preview of the Exterior Siding Details. 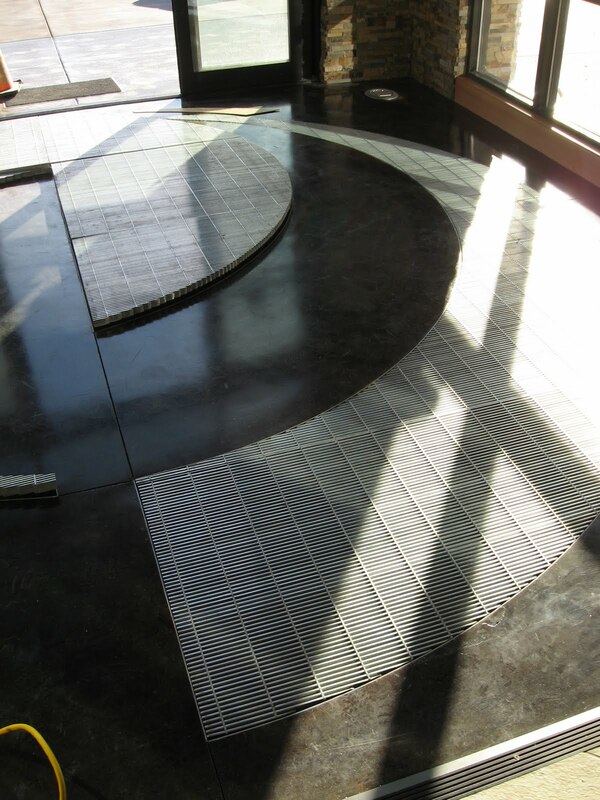 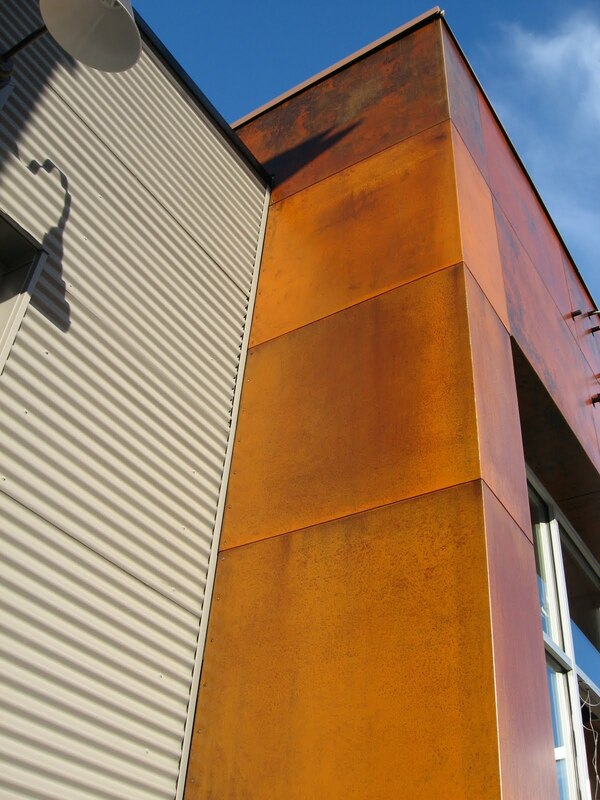 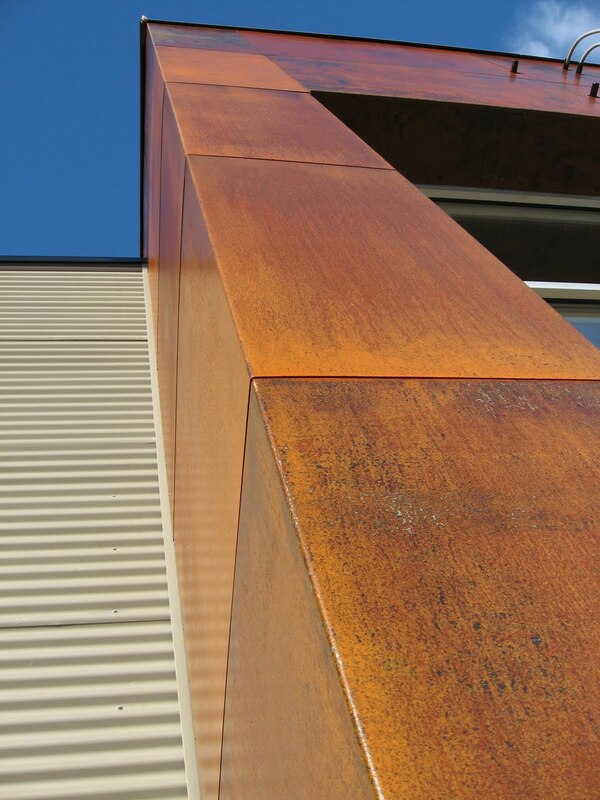 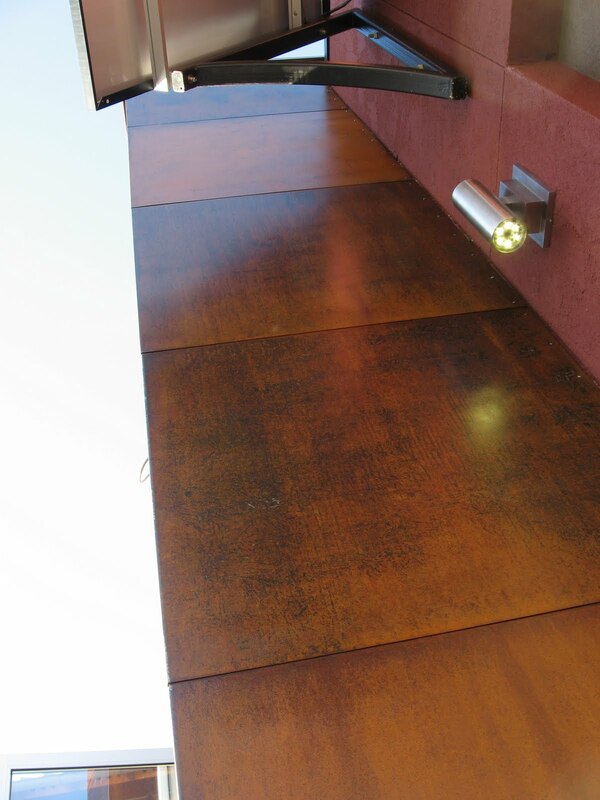 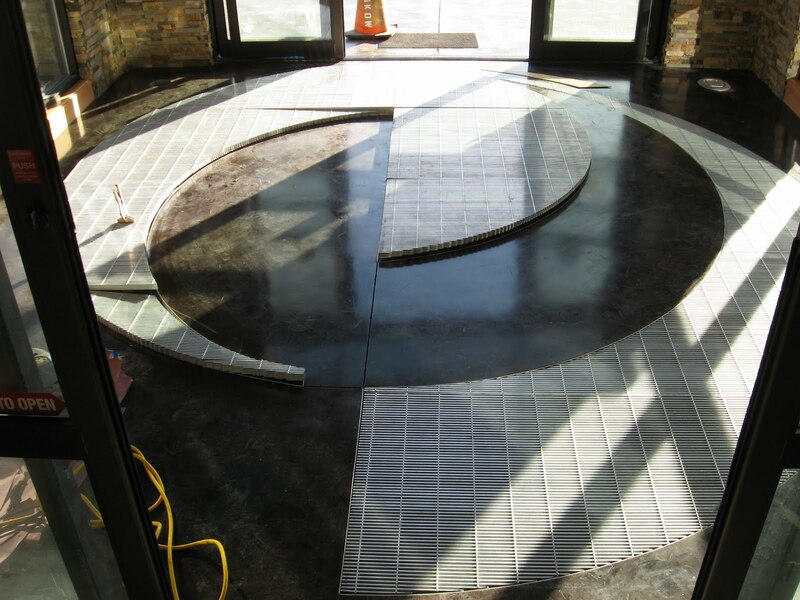 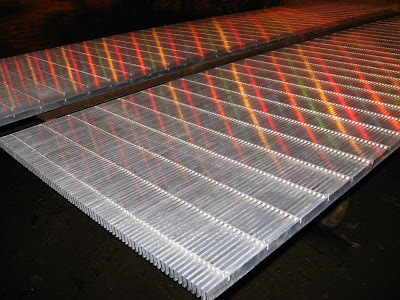 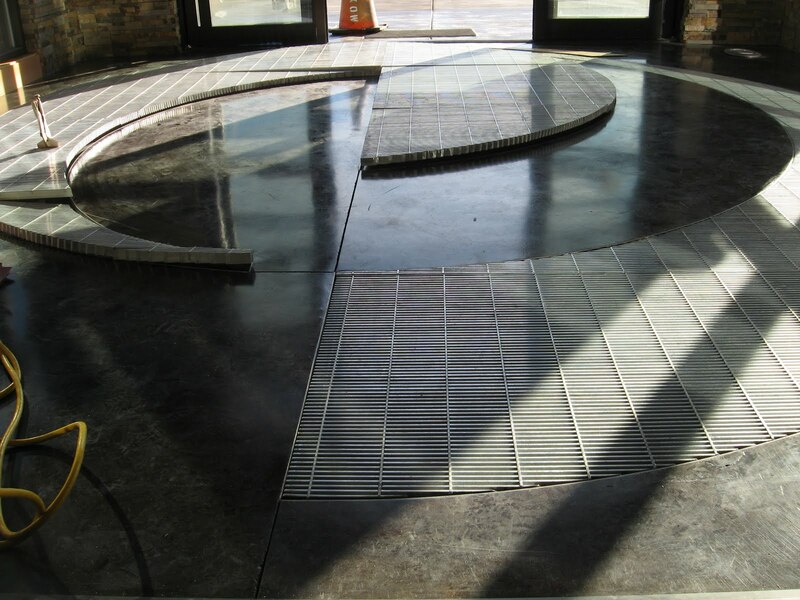 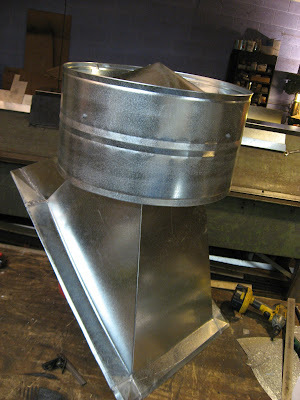 This System is made from 16 Ga hot rolled steel and is fixed to the building using both exposed fasteners and cleats. 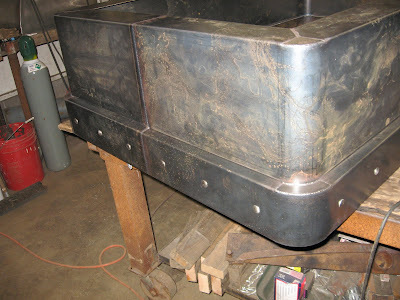 Started out with 3 -12 foot x 3 foot wide "Chunks"
artisans and companies working on the building. Click on Title to Read More! 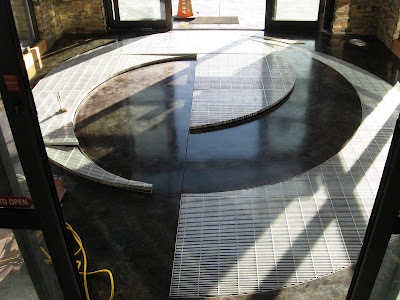 While I'm here I need to shout out to Flat Rock Productions. 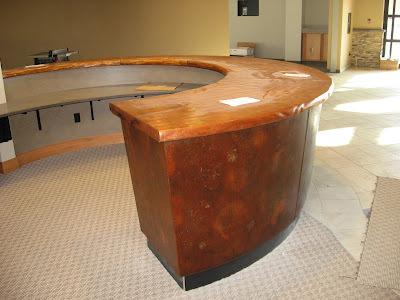 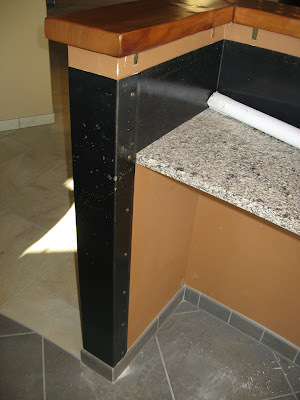 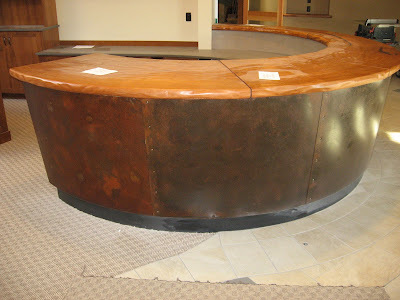 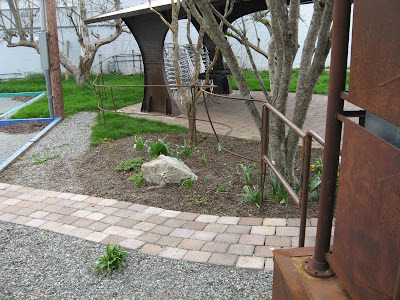 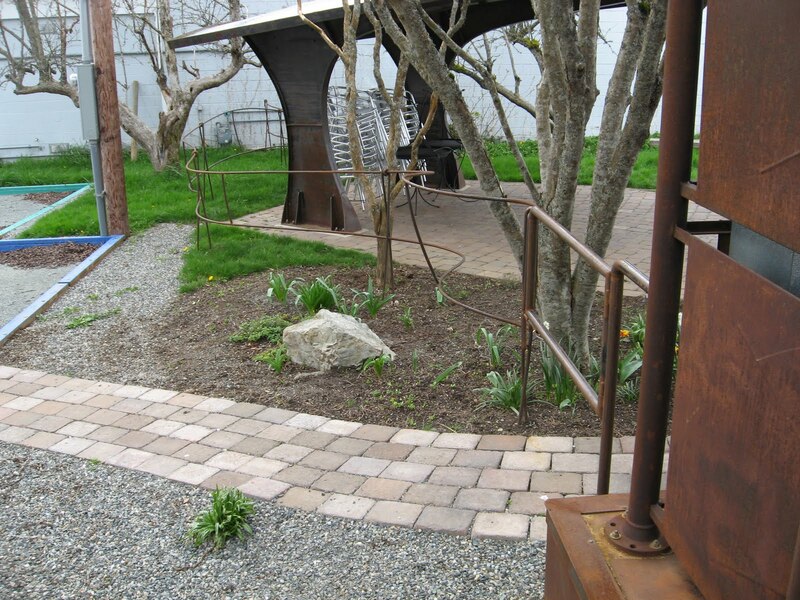 They (Along with the Owners) dreamed UP just about all of these metal features! 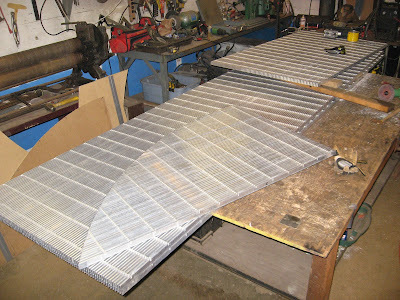 I would also like to thank GEMKOW Const for all of there help and support! Above is a mini "Preview" of some of the interior details. 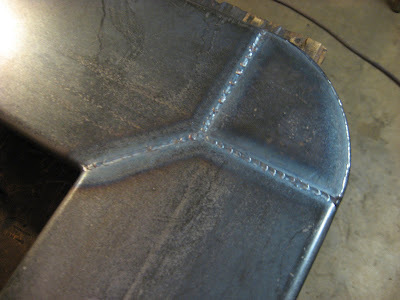 All of the metal is 16 ga Hot rolled Steel. Some natural finish and some "Rustic".. 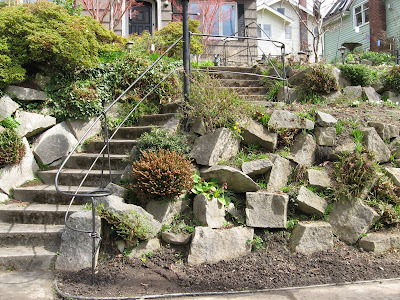 Fantastic Article By Valerie Easton For Seattle Times NW Magizine! Mike McMahon, who left South Whidbey as a teenager, returned to the island to open Olde World Ales and Lagers in Langley. 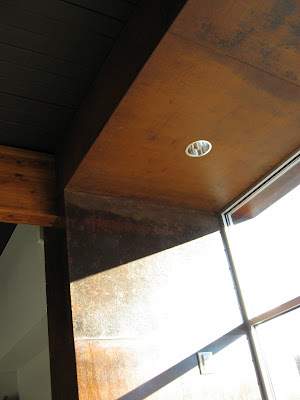 He worked with local metal artist Tim Leonard on the brewery interior, and the coffee shop next door on a sweet ale dubbed "Useless Bay Sweet Espresso Stout." 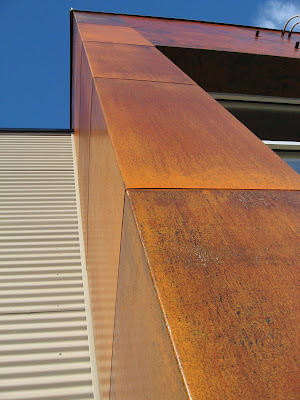 Click Title to Read More!